Dear Les Wexner: Time to Turn VS PINK Scarlet & Gray! 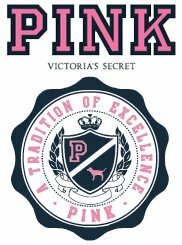 When Victoria’s Secret launched its PINK Collegiate line, 4 years ago, the young women of Central Ohio (the Worldwide Headquarters of this company) were shocked to see that The Ohio State University was not on the list of participating schools. This was also a bit surprising because the founder of Victoria’s Secret, Les Wexner, is an Ohio State grad and was a member of the school’s Board of Trustees. Four years later, and Les Wexner has now resigned from Ohio State’s Board of Trustees. So it seems that “conflict of interest” is no longer an issue, now is it? All I can do is hope that somewhere along the chain of command, that this situation has been or will be revisited. Buckeye fans, in general, wear their OSU clothing with pride. On any given day, any time of the year, you will see the people of Central Ohio wearing Scarlet and Gray. I’ve had friends visit and they’re always shocked at how many people wear Buckeye themed clothing. I believe one even suggested that it was the official uniform of the city. I can’t argue! There is scarlet and gray everywhere you look, so finally making this line available to the company’s founding city would be a great business move, in my opinion. So, Les, if you’re out there, please make this happen! We’re counting on you! GO BUCKS!